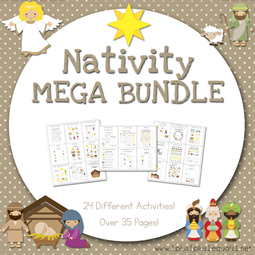 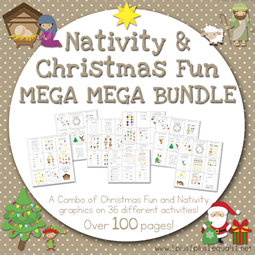 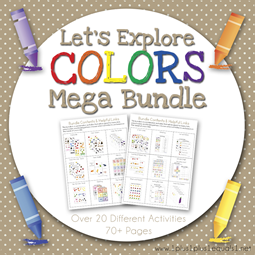 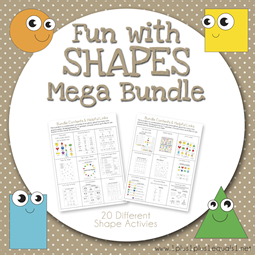 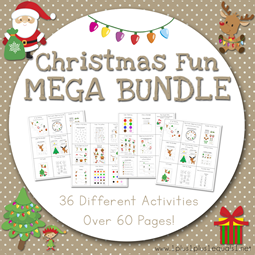 I am excited to share our new Snowy Fun Mega Bundle with you! 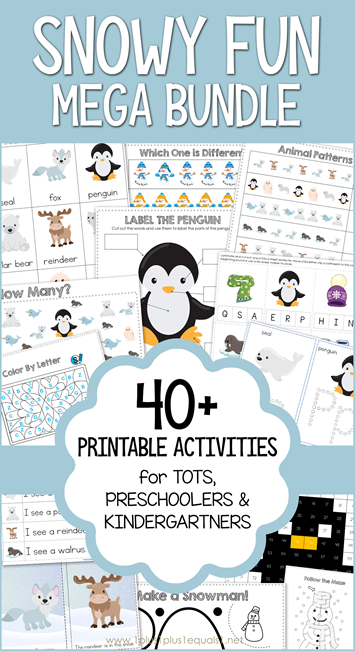 It is filled with over 40 different activities which are great for tots, preschoolers and Kindergarteners! 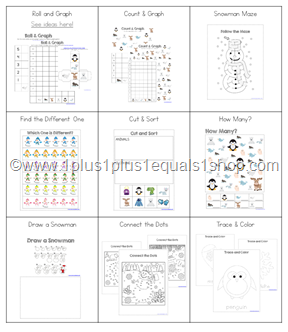 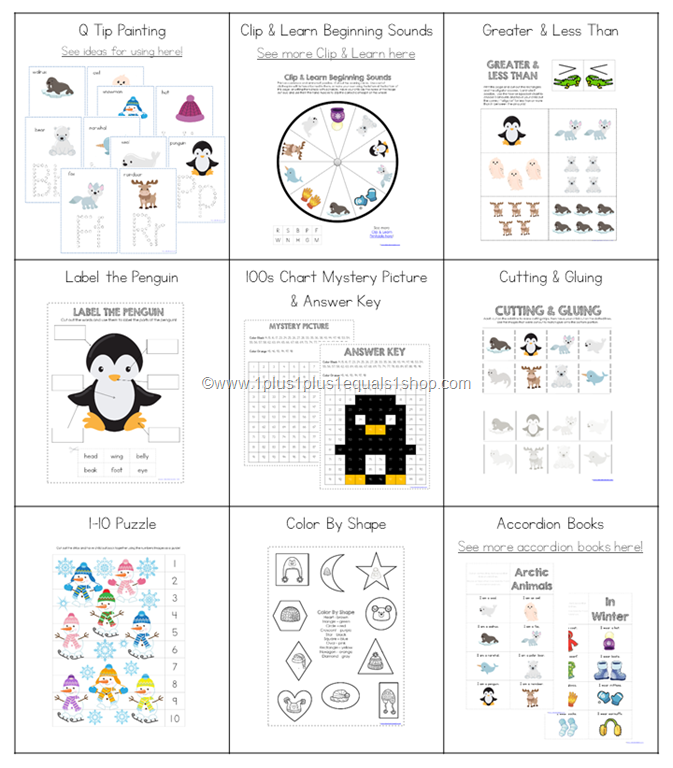 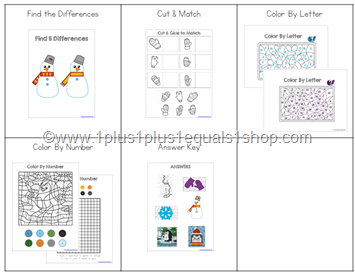 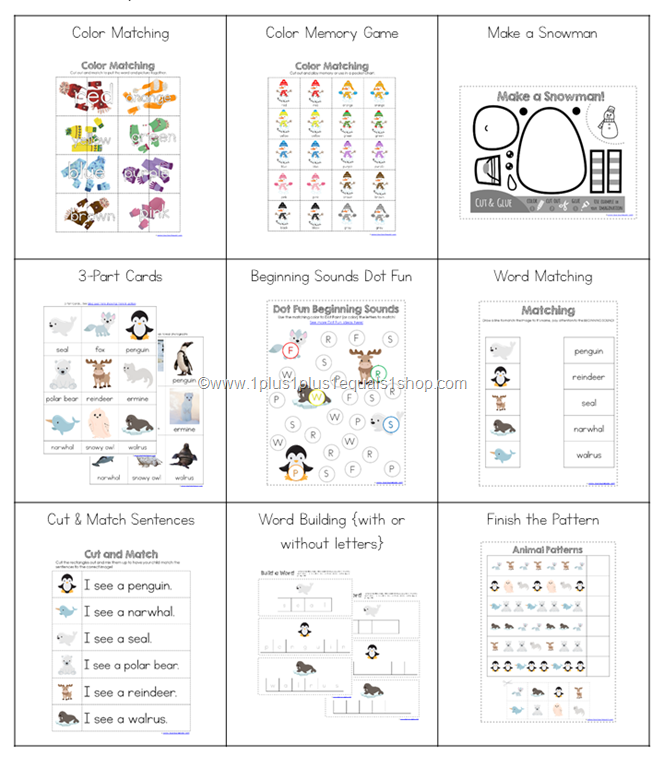 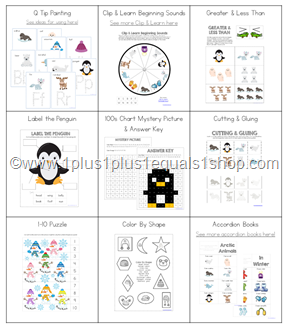 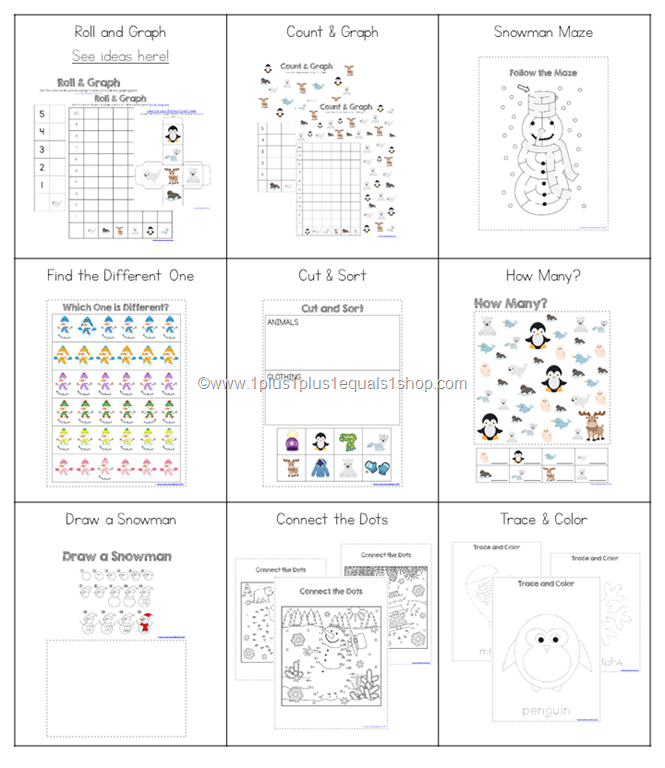 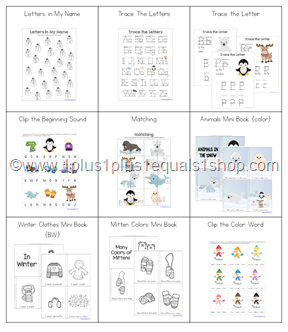 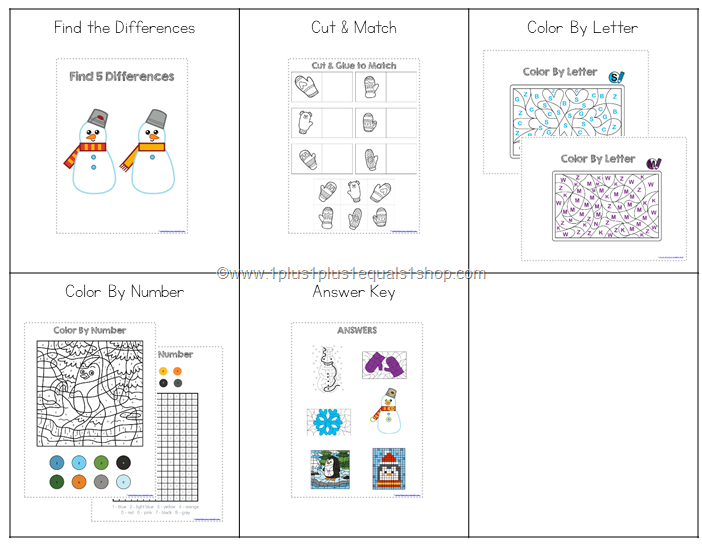 You’ll find over 70 pages of printables featuring tons of snowy fun! 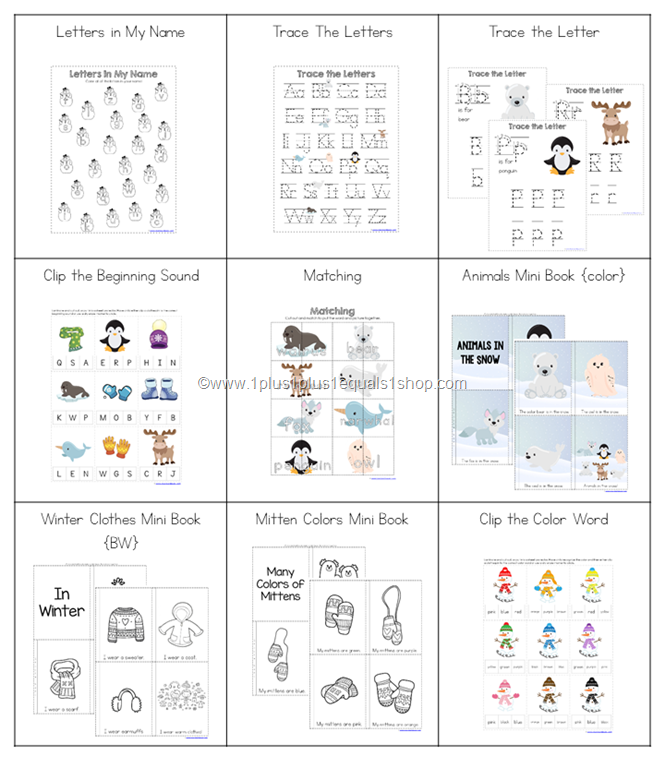 Arctic animals, snowmen, winter clothes and more will provide engaging activities for your young child all winter long! 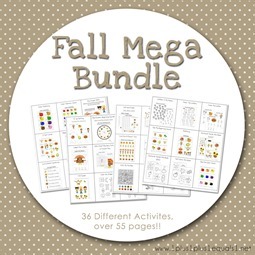 What’s in the bundle? 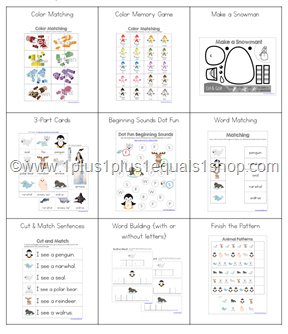 See our info pages below for more details, click to enlarge!